We start off with a bare greasy block and put it into our electric oven where it bakes at 800 degrees for 5 hours. Once it comes out of the oven all the grease is turned to ash and it is ready for the blasting process. 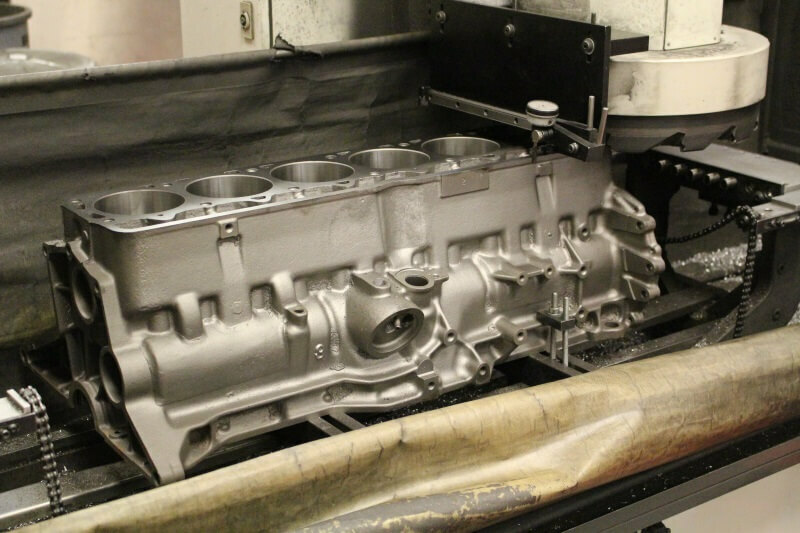 Our shot blaster shoots stainless steel shot at the block for 45 mins to get the cast iron back to new form. We bore our blocks oversize using our Rottler bore mill. 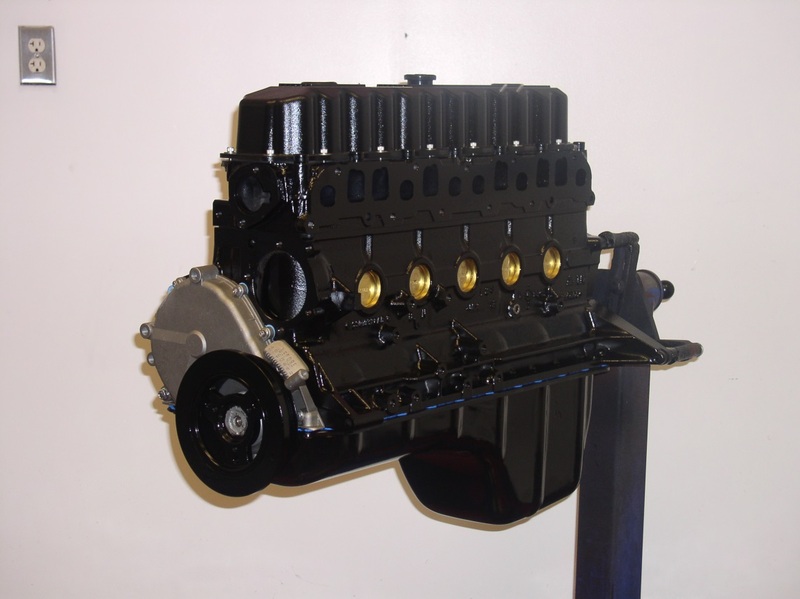 Decking not only gives the block the proper surface finish to seal the head gasket but it also allows us to tighten the quench height. 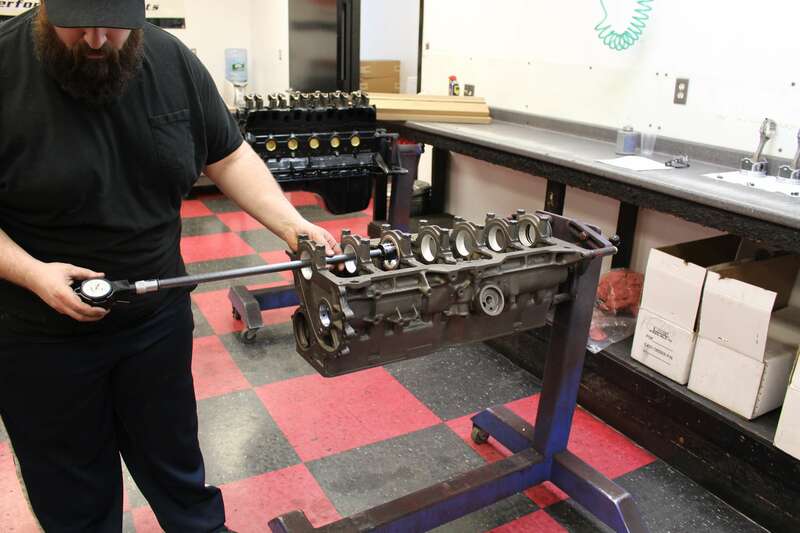 Our new Sunnen SV-15 Hone keeps cylinders straight and perfectly round. 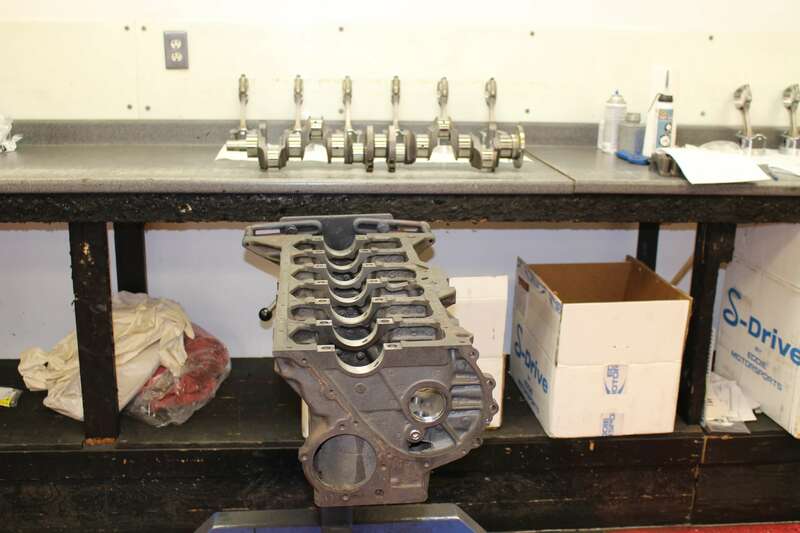 By line honing the blocks mainline we can blueprint the main bearing oil clearance to a perfect .002”. 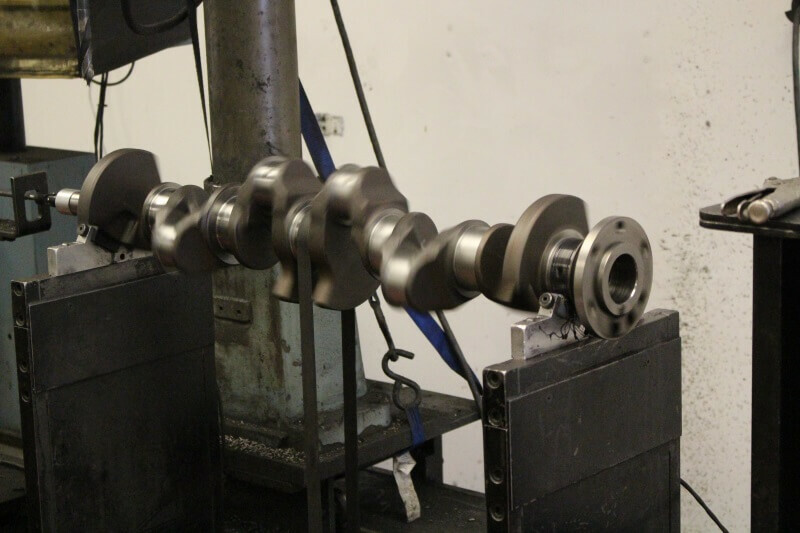 We dynamically balance each crankshaft in our Hines Balancing machine for smooth engine operation and long life. 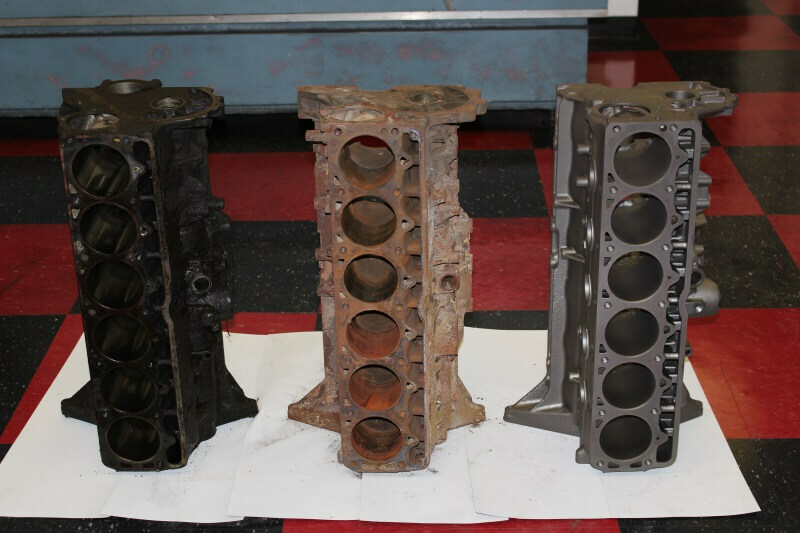 By honing the rod big and small ends we can blueprint the oil clearance and keep the housing bores straight and round. 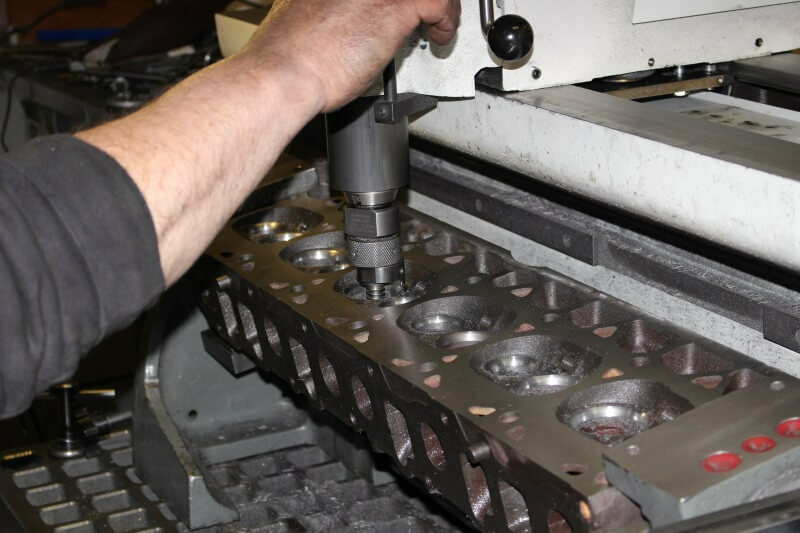 Our Sunnen VGS-20 seat and guide machine uses carbide cutters to lay in a perfect three angle performance valve job, this machine uses a pilot system to keep the valve job concentric to the valve guide. 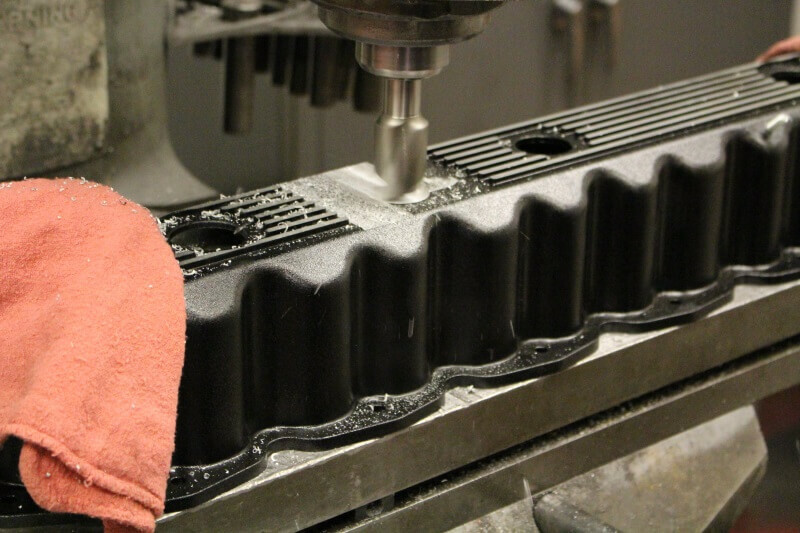 We mill our aluminum valve cover so it is ready for our Golen Engine 4.6L Stroker Sticker. 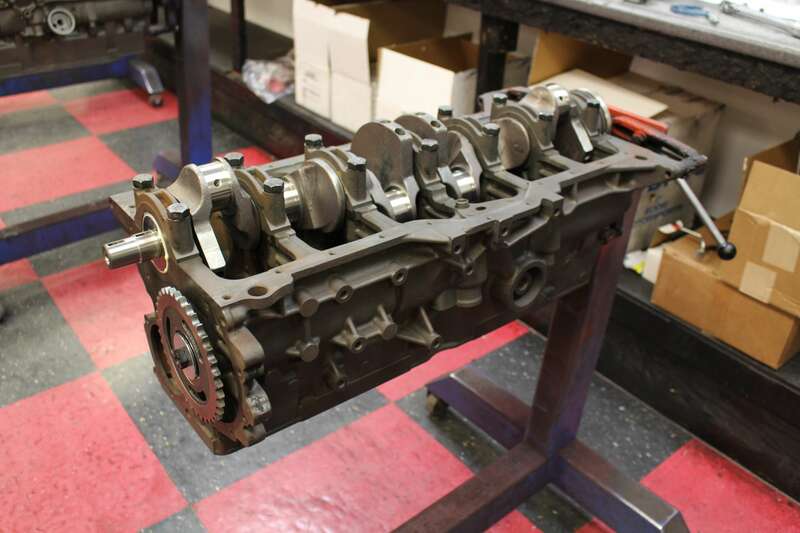 Jeep rotating assembly all balanced and ready to install. 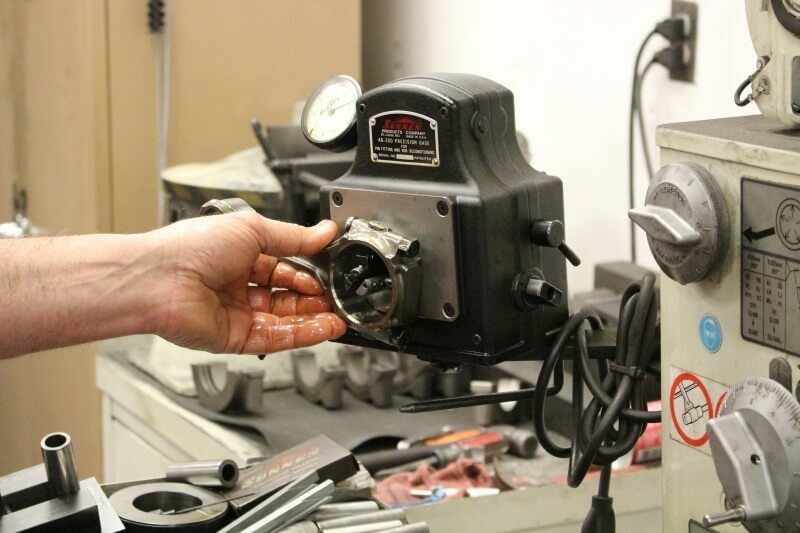 We take the extra time to polish the crank and check all journals for proper size. 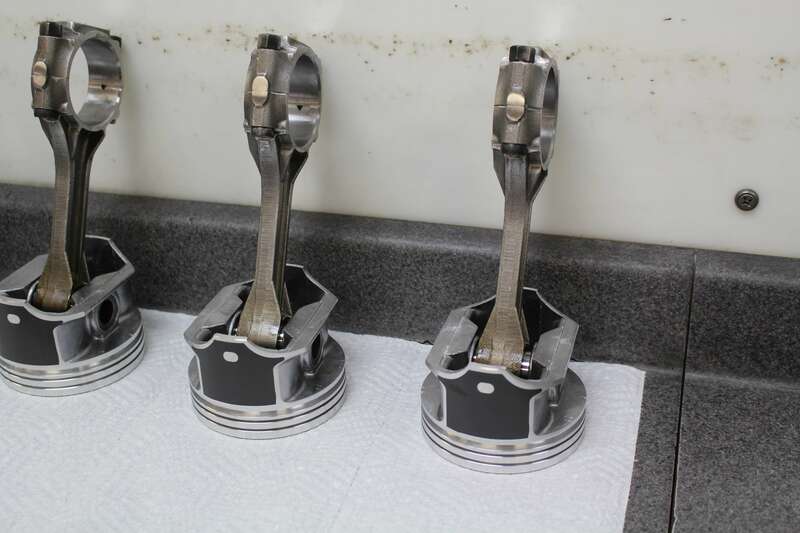 Sealed Power Hypereutectic pistons and Aftermarket Forged Steel connecting rods ready for installation. The new forged rods are a nice upgrade over the factory cast versions. 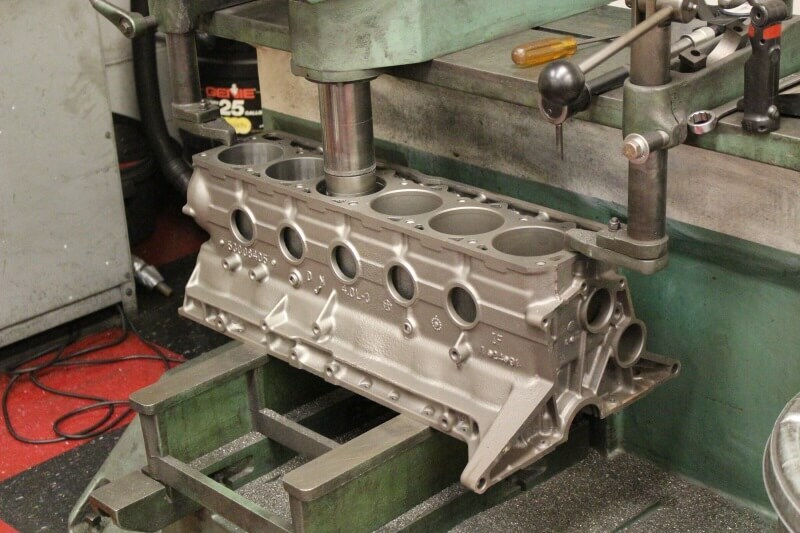 Here is our fully machined block all washed and ready for all the new parts. 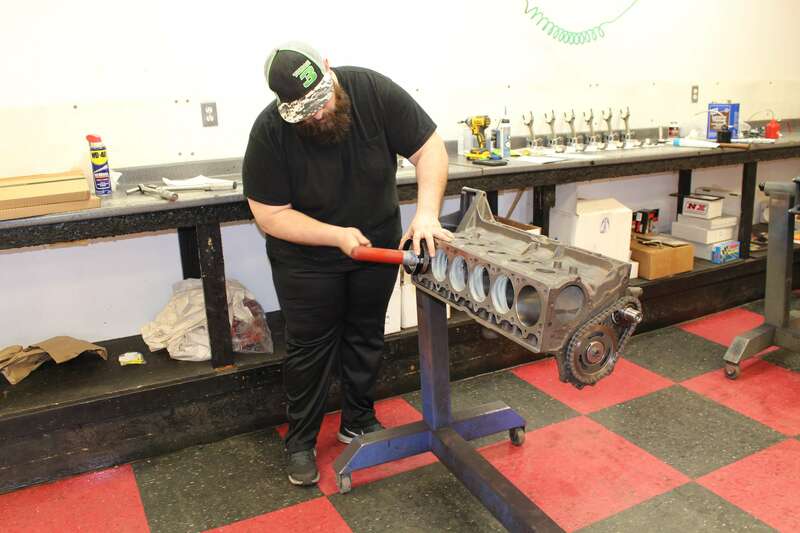 Engine Assembler Adam Golen measuring the main bearing oil clearance, it is super important to properly blue print the oil clearances to ensure a long engine life. 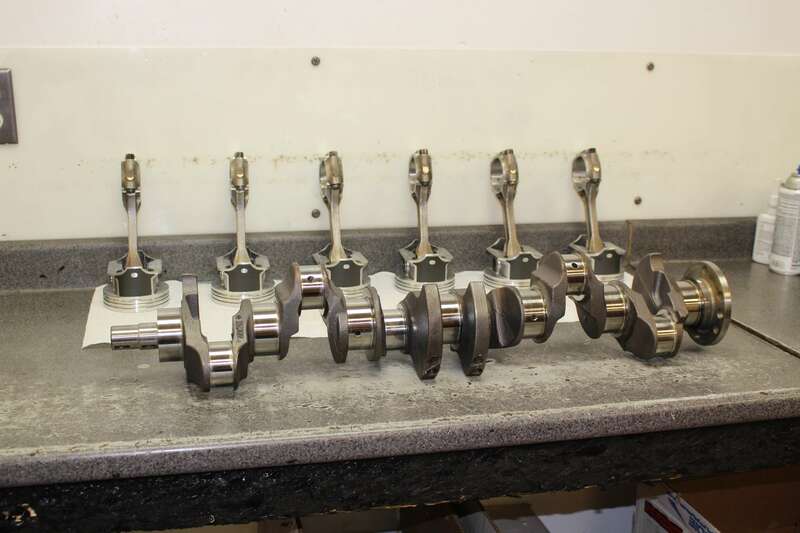 After the crankshaft has been fully polished and balanced we carefully wash it before installing it into the block for the final time. 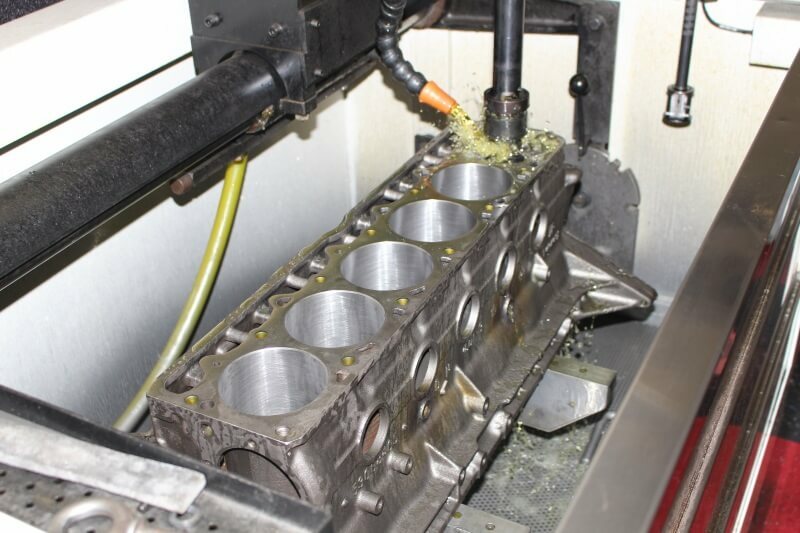 Once the rings are installed on the pistons and greased we carefully install them into the machined block. 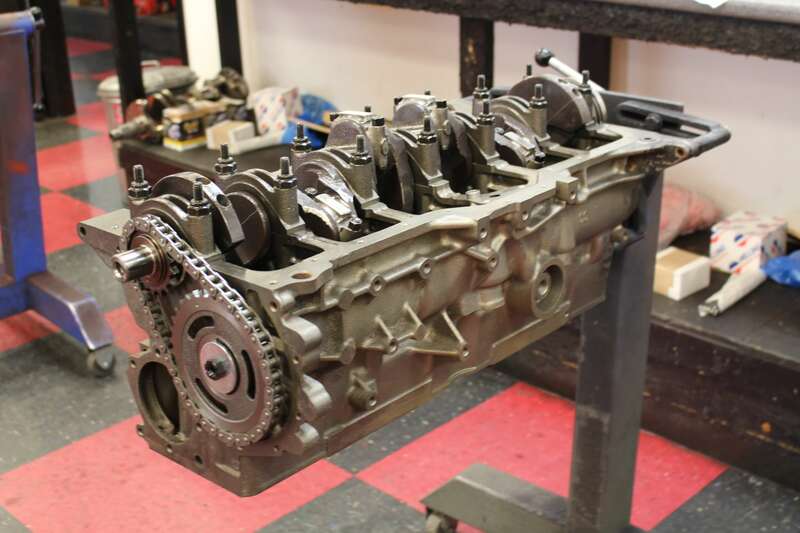 Here is the short block fully assembled and ready for the top end. 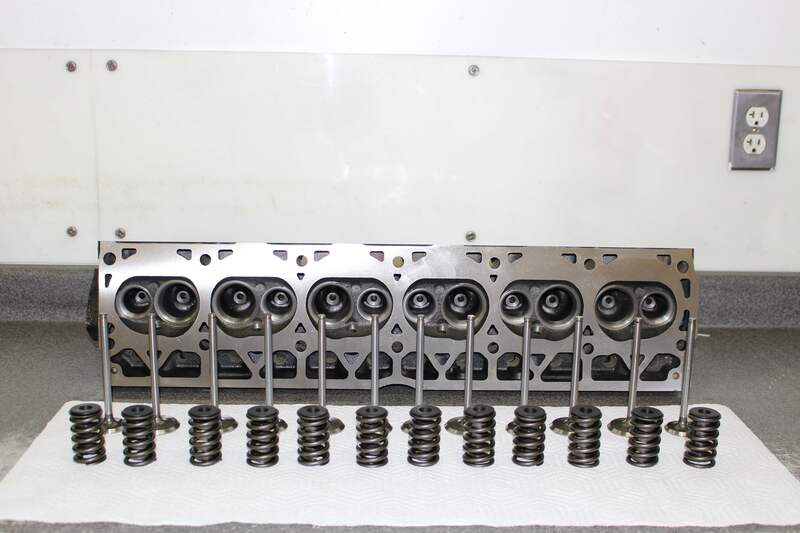 Cylinder head machined and ready for components to be installed. 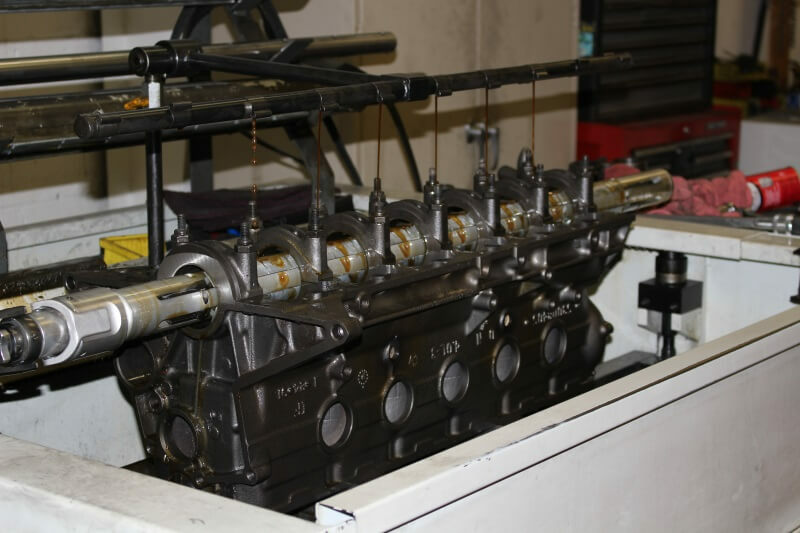 Engine fully assembled ready for dyno testing. 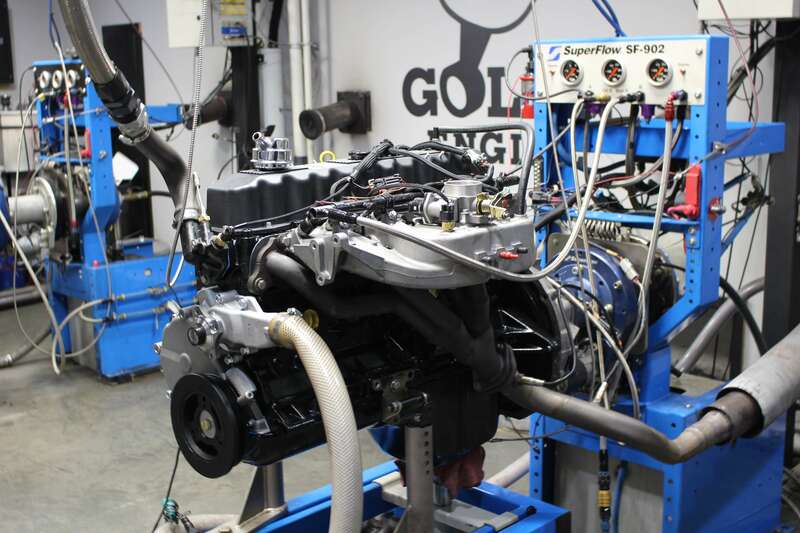 Dyno testing allows us to ensure the engine is running properly before we ship it out. 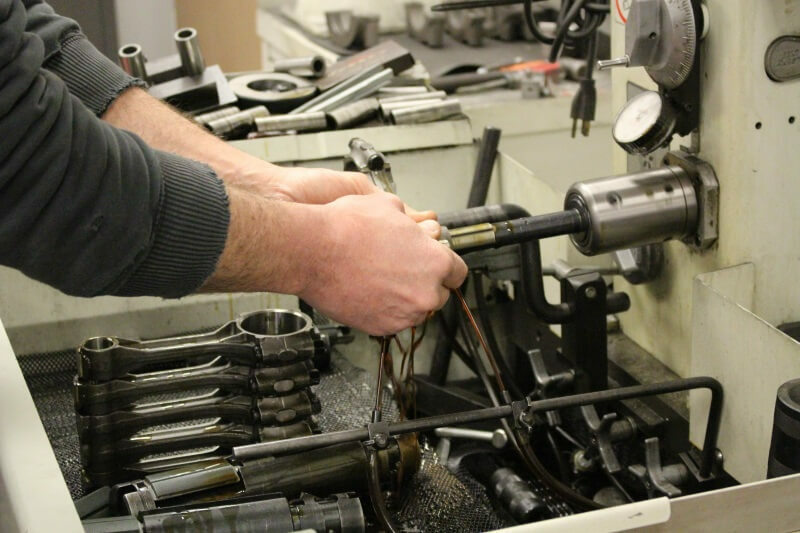 We can also retorque all of the fasteners and make sure there are no leaks or noises.